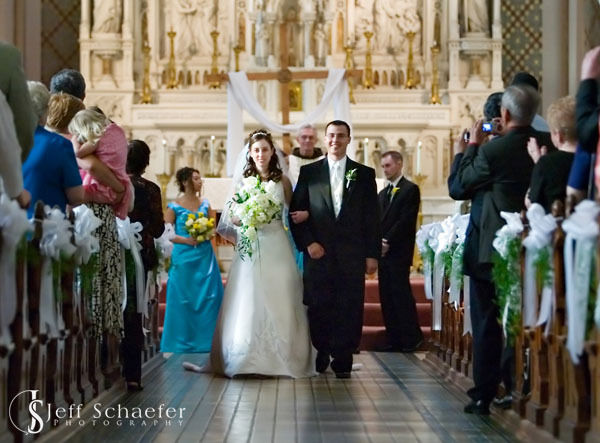 Wedding at the beautiful St Francis de Sales Church in Cincinnati, OH. 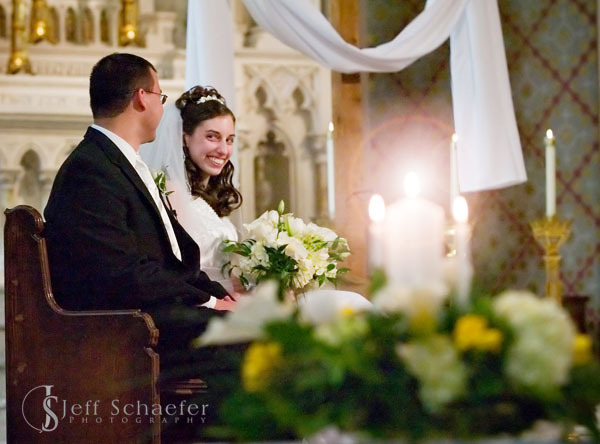 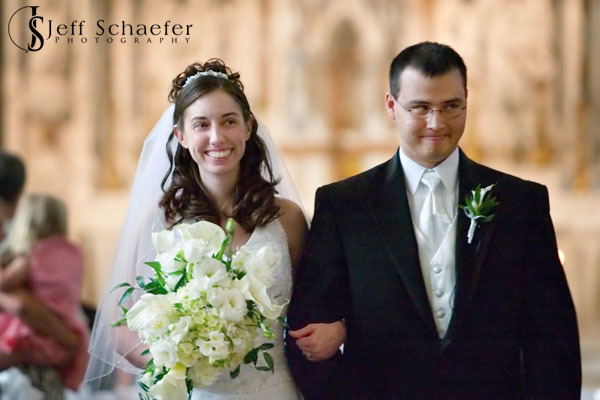 Joe and Laura share a smile during their wedding at St Francis de Sales Church. 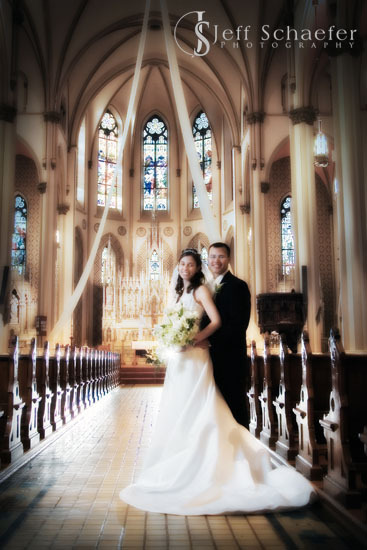 Wedding portrait in the church aisle. 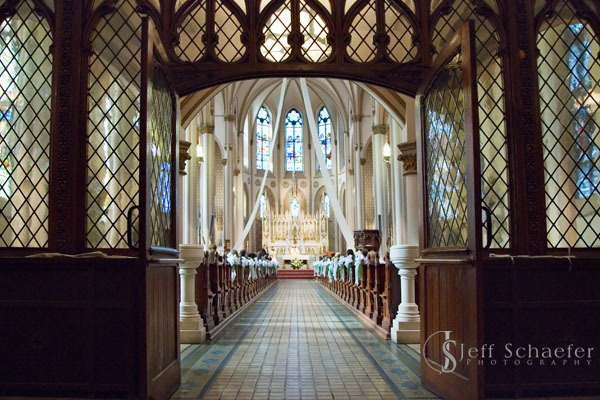 Balcony photograph showing the beautiful St Francis de Sales church. 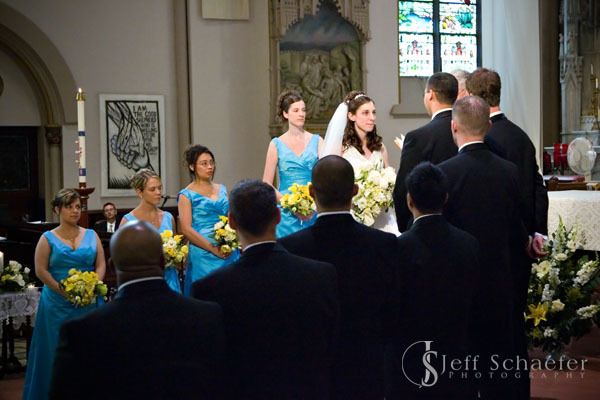 A very happy moment as Laura and Joe walk down the aisle. 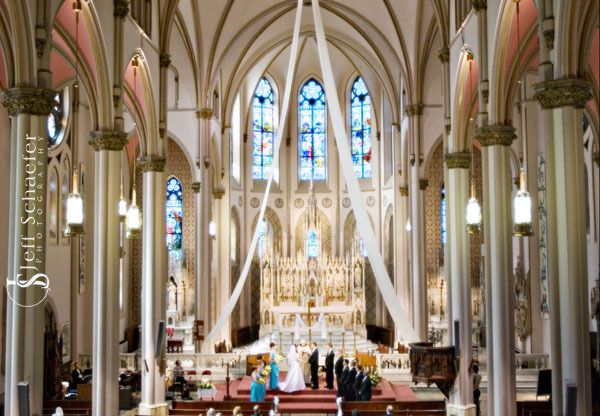 Always one of my favorite photographs. 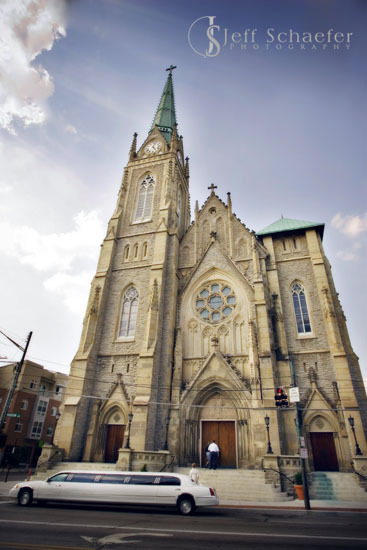 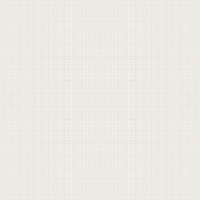 The street view of St Francis de Sales church Cincinnati.